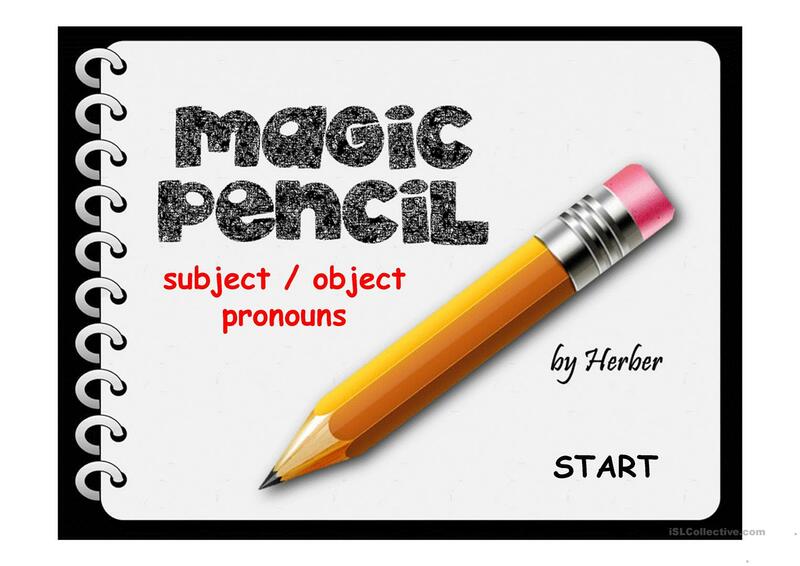 This is a Powerpoint presentation on subject and object pronouns. The students should choose the right option to complete the sentence. If the option is right the pencil will circle it. If the option is wrong the pencil will erase it. 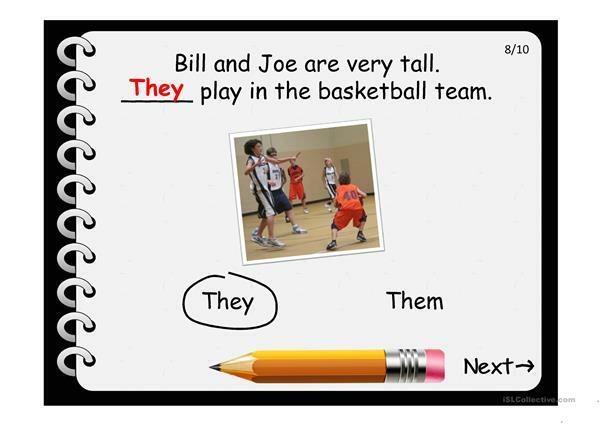 The above downloadable teaching material was created for high school students and elementary school students at Elementary (A1), Pre-intermediate (A2) and Intermediate (B1) level. 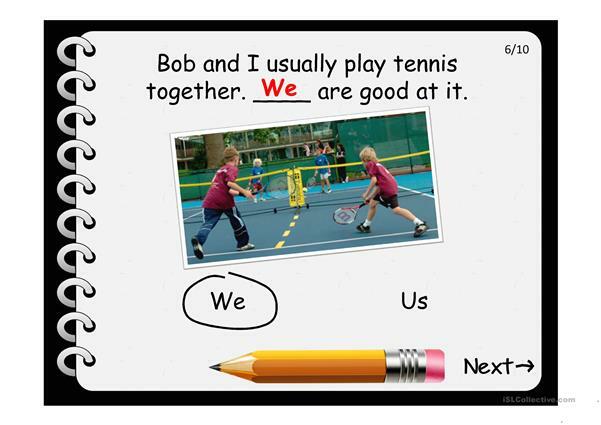 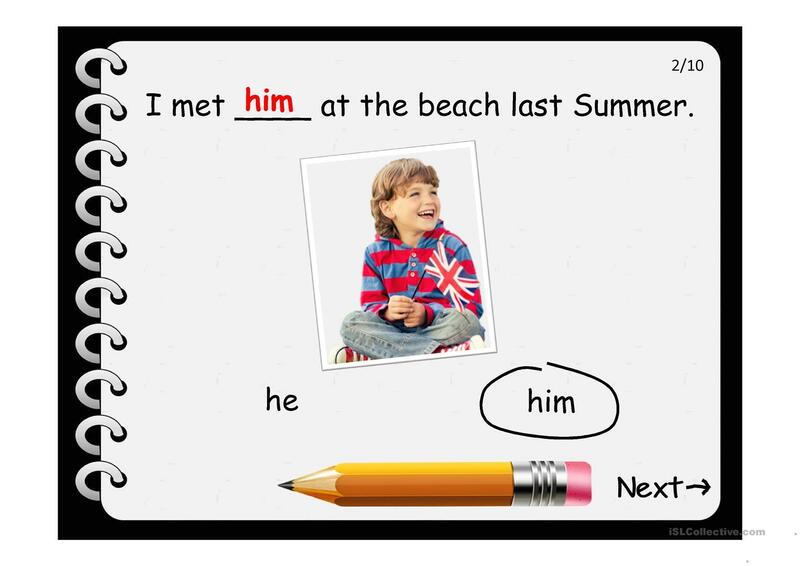 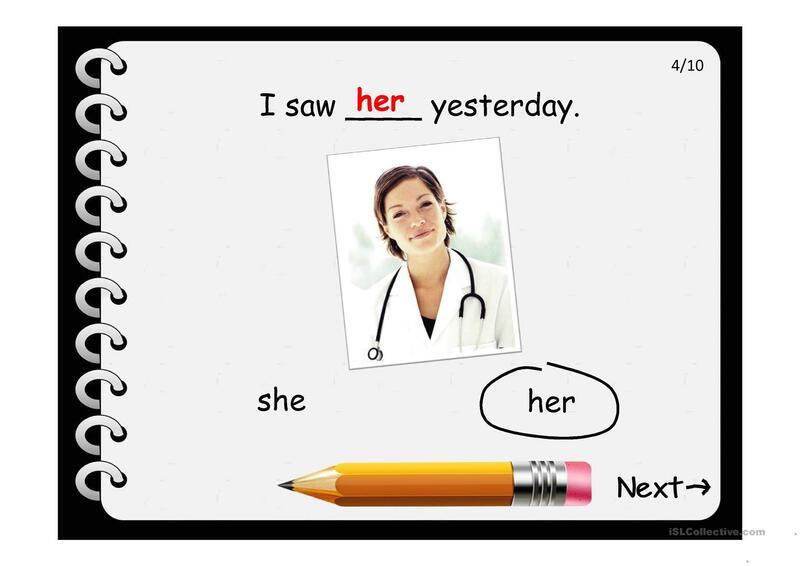 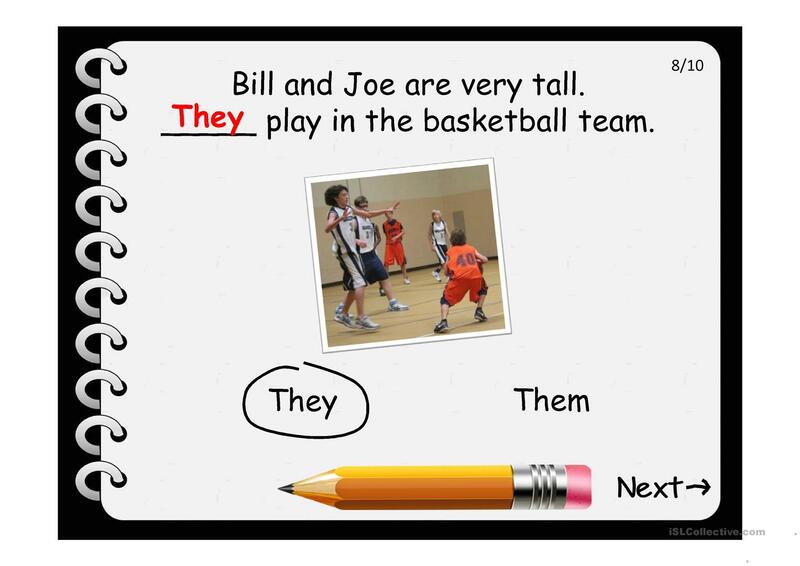 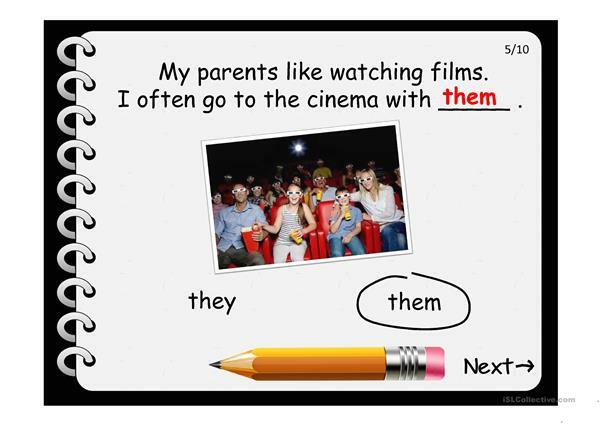 It is great for revising Pronouns: YOU and THEY to talk about people in general in English, and was designed for working on your class' Spelling, Speaking and Reading skills. 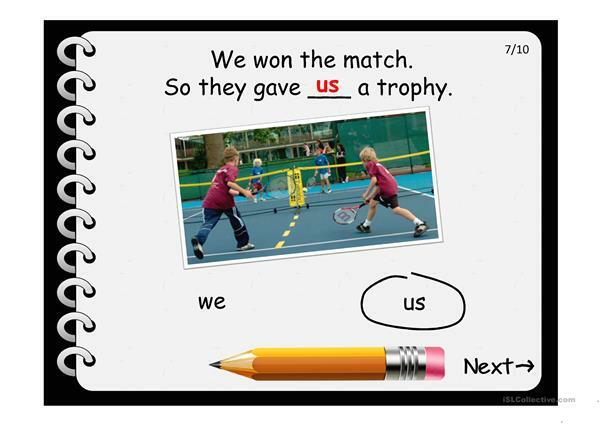 It centers around the vocabulary topic of Actions. 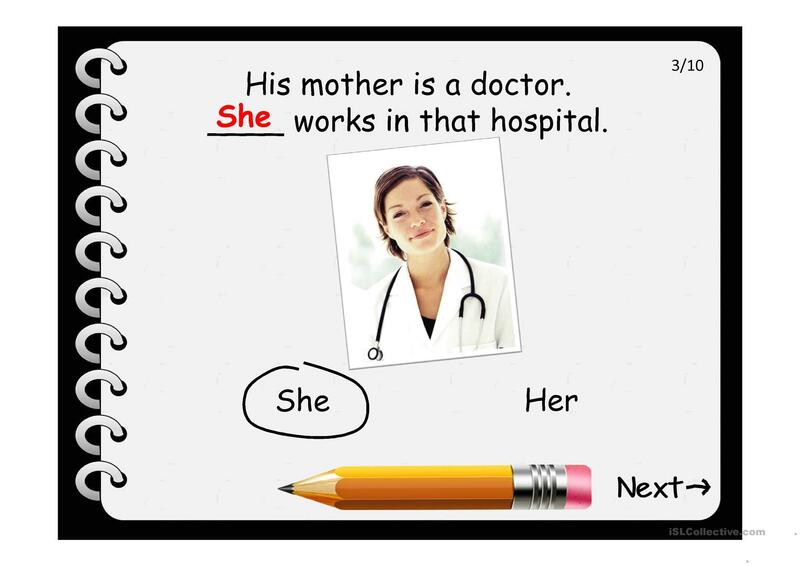 It includes the answer key, too.